Philip Ferrari de La Renotière (Picture 1), who was a pioneer in philatelic and numismatic collections, managed, during his lifetime, to acquire a legendary mixture of postage stamps, including the most significant philatelic items of the world. This must have been the most complete collection to have ever been or will be built up in the future. Ferrary was born on 11th January 1850 in the luxurious Matignon hotel in Rue de Varenne, in Paris, where he stayed until 1917. Louis XVIII exchanged this recreational place of meeting for the Elysee Palace, at the beginning of the Restoration of the Bourbons in 1815. Nowadays this is the official residence of the prime minister of France. Ferrary was the son of the duke and duchess of Galliera. His father, Raffaele de Ferrari, was a rich entrepreneur who was appointed both as Duke of Galliera of Genoa by the Pope, Gregory XVI, and as a Prince of Lucedio by the King of Italy, Victor- Emmanuel II. Raffaele de Ferrari was the founder, along with the Pereire brothers, of the Credit Immobilier de France. They were entrepreneurial rivals of the Rothschilds and funded many of the construction projects in the latter half of the 19th century: the railways in Austria, Latin America, Portugal, northern Italy and France (Paris-Lyon-Marseilles line); the construction of the Frejus Rail Tunnel and the Suez Canal; as well as, the reconstruction of Paris which was designed by Earl Haussmann. The Ferrari mother, duchess of Galliera, born as Maria de Brignole-Sale, was the elder niece of the princess of Monaco and daughter of Marquis Antoine de Brignoly-Sale, ambassador of the king of Sardinia in Paris, during the Louis-Philippe reign. When the father, Raffaele de Ferrari, died in 1871, Philip came into a legendary inheritance. Ignoring everything and disposing of every title by introducing himself as Philip von Ferrari, the “kid” went on with his childish hobby: stamp collecting. At last it was there where his interest focused on and, by spending an enormous part of his fortune, he managed to assemble the greatest and most expensive collection of postage stamps of all times. Philip von Ferrari purchased many great old collections including the one owned by the judge Frederick A. Philbrick (1835-1910), which he bought for 7,000 pounds, and which included a significant part of the historic collection of Sir Daniel Cooper, the first president of the Royal Philatelic Society London. 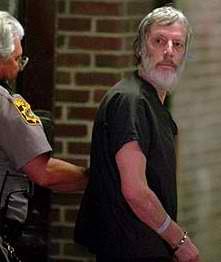 Perhaps he was the greatest buyer of his time in all European capitals for many years. Apart from his great collections wholesale purchases, the files of Stanley Gibbons mention that his general purchases amounted to 3,000 – 4,000 pounds per annum, on average, only from that house: a huge sum by the standards of that period. 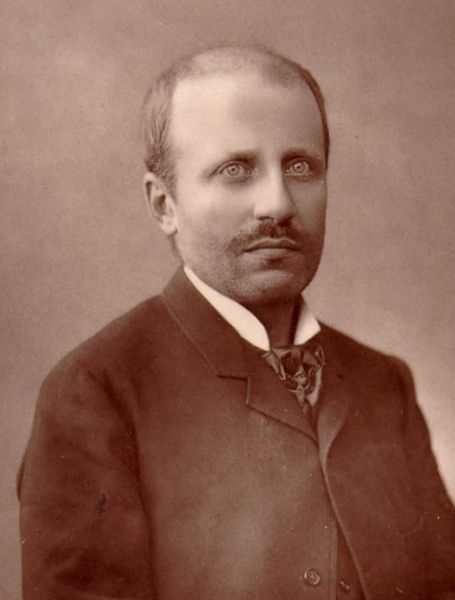 Philip von Ferrari became known throughout the world as the grand stamp-buyer and, thus, creating a kind of unique collection of exceptionally rare postage stamps in Paris where he lived. He rarely hesitated to buy something that aroused his interest and he frequently paid for its value in gold sovereigns on the spot. It was inevitable, therefore, to act as a provocation for the forgers and the conman of the time who managed to take him in by selling wonderful fakes to him, which, even today, bear the name of “Ferrarities”! 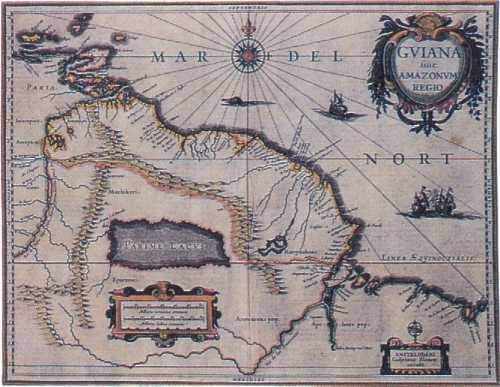 Philip was interested in all rarities around the world which he would obtain at any cost. 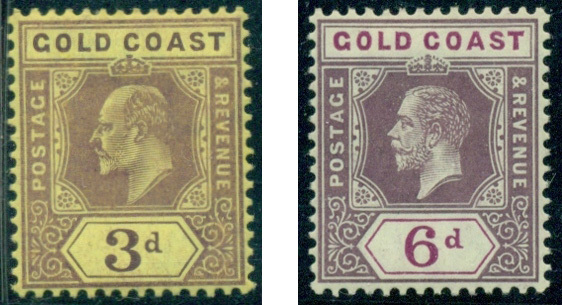 However, his interest focused on single rare stamps and not on big blocks or blocks of four. I do think that there are not any collectors who will not be impressed by Philip’s unprecedented collection. 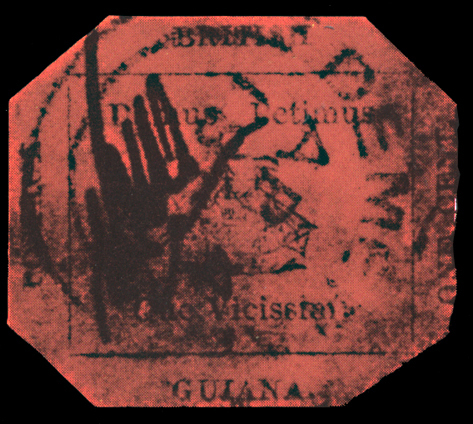 At least seven of the Mauritius “Post Office” (1847) stamps reached his hands (Picture 2). 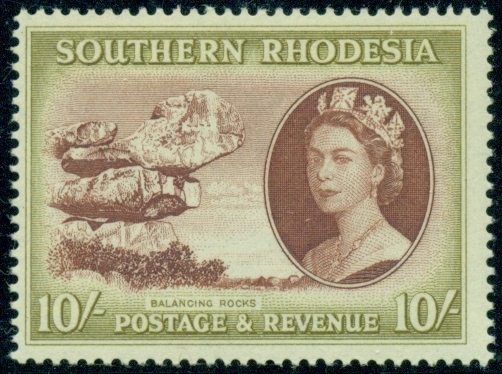 Those are the first British Commonwealth postage stamps which were released outside Britain and were immediately replaced by the common variety of “post paid”. 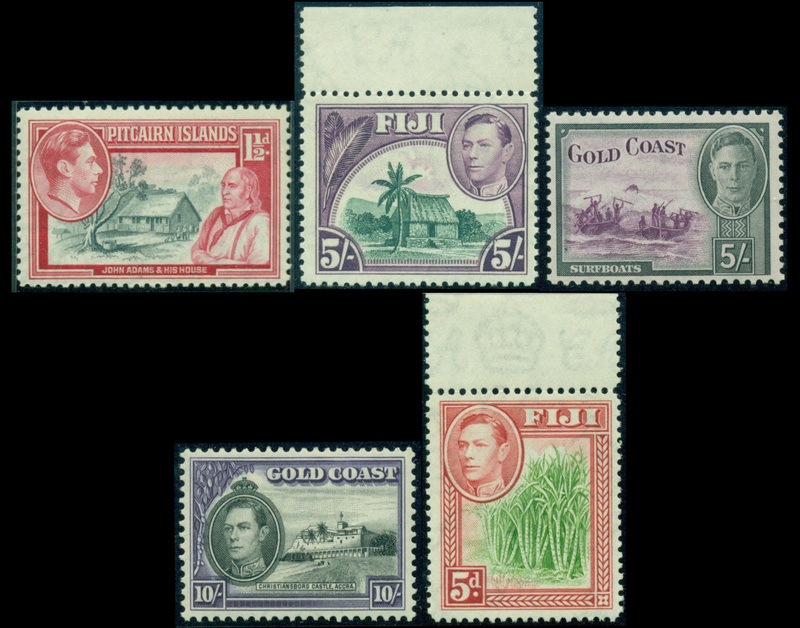 The only mint item, along with other cancelled ones, of the two-penny of the “missionary” Hawaii (Picture 3) became, sooner or later, part of the Ferrari collection. This belongs to the very few, first stamps, surviving and which were used on that Pacific island by the missionaries: a fact that goes to justify its very name. collection. 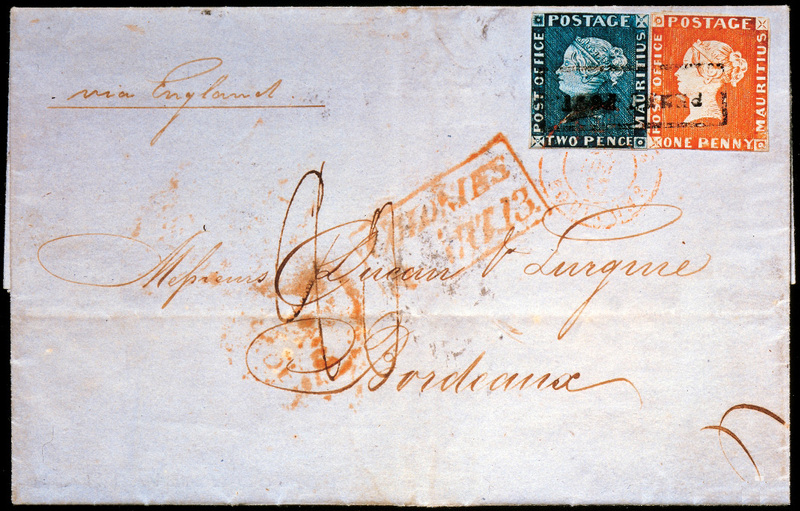 This stamp was created as a temporary measure of correspondence dispatch in 1856, when a parcel failed to reach its destination within the colonies using ordinary postage stamps. The octagonal pink piece of paper was sold at an auction in 1980 for something less than one million dollars and it is the only one known today. 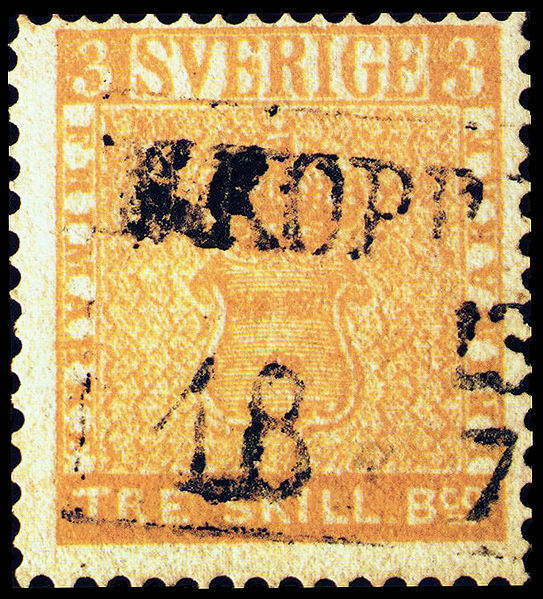 The three skilling stamp from Sweden – 1855 issue obtained in 1894 (Picture 5) – could not possibly be missing from the collection of that obsessed collector. This stamp is of yellow color instead of the usual turquoise. There has, apparently, been some confusion in the printing process of this eight Skilling stamp which regularly bears this color Only one has been found today and is being considered the most valuable one in the world. In a most recent auction, in 1996, it fetched the astronomical amount of 2,300,000 dollars! 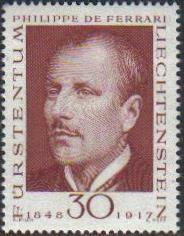 Many other rare stamps were bought by Ferrari in his course of being in search of rarities and topics including the postage stamps of early German states. He had a particular preference for the three-pfennig red ones of Saxony (Picture 6). 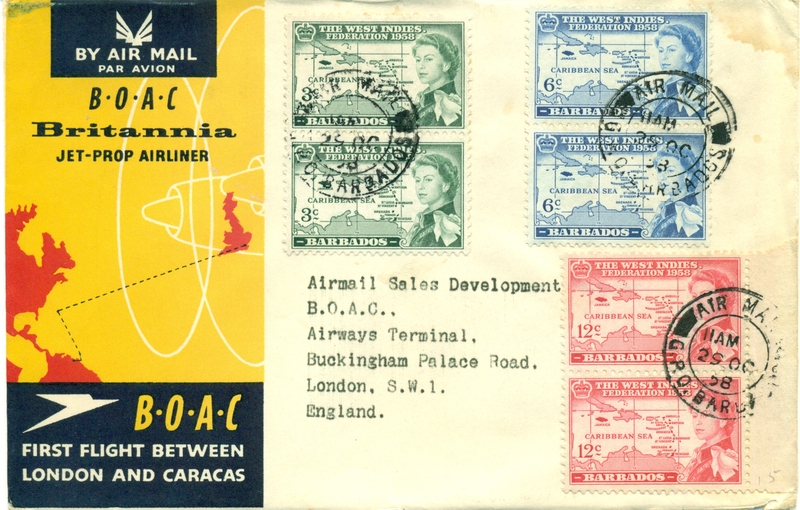 The impressive collection included the Baden stamp of the wrong color (Picture 6). 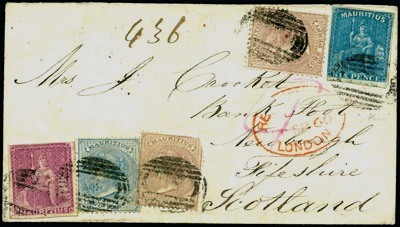 The first postage stamp of this state was issued in May 1851. 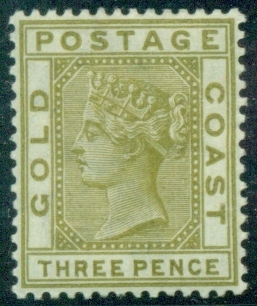 The nine-kreuzer stamp was printed, by mistake, in greenish-grey color instead of pink. 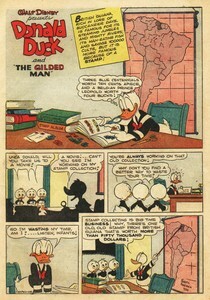 There are only three copies known and two of them are on heads. This devoted collector could not keep his hands off from the Greek stamps. It is known that two blocks of nine of the forty lepta postage stamps with the renown distorted overprints (positions 116-118, 126-128, 136-138) are part of his collection (Picture 8). We could certainly admire all seven values from the impressive “essays of Barre”, as they came to be known, in multiples and in sheet corner with the inscription “TYPOGRAPHIE ERNEST MEYER, RUE DE VERNEUIL 22 A PARIS” (Picture 7). I should point out that these blocks are the only ones known in values of 2 and 40 lepta. This endless collection was handed down to the Postal Museum of Berlin along with instructional chapters upon its maintenance by Ferrari himself. However, the collection failed to reach its final destination as the French government confiscated it shortly after his death in Lausanne, in Switzerland, in May 1917. Due to his Austrian origin, his collection was put to auction in the name of World War I damages fetching the sum of 30 million francs! This great collector, whom we owe so much for having rescued so many rarities, was honored on a postage stamp issued by Lichtenstein in 1968 (Picture 8). On 15 December, in 1832 an extraordinary French civil engineer and architect was born: this was Alexandre Gustave Eiffel. Eiffel was a graduate of the École Centrale des Arts et Manufactures of Paris, and he made a name with various bridges for the French railway network, most famously the Garabit viaduct. He is best known for the world-famous Eiffel Tower, built for the 1889 Universal Exposition in Paris, France. The design of the Eiffel Tower was originated by Maurice Koechlin and Emile Nouguier, who had discussed ideas for a centerpiece for the Expo. And since May 1884 that Koechlin, working at his home on an outline drawing of their scheme until the beginning of 1886 very little happened. On 12 May of the same year a commission was set up to examine Eiffel’s system and its competitors and on 12 June it presented its decision, which was that only Eiffel’s proposal met their requirements. 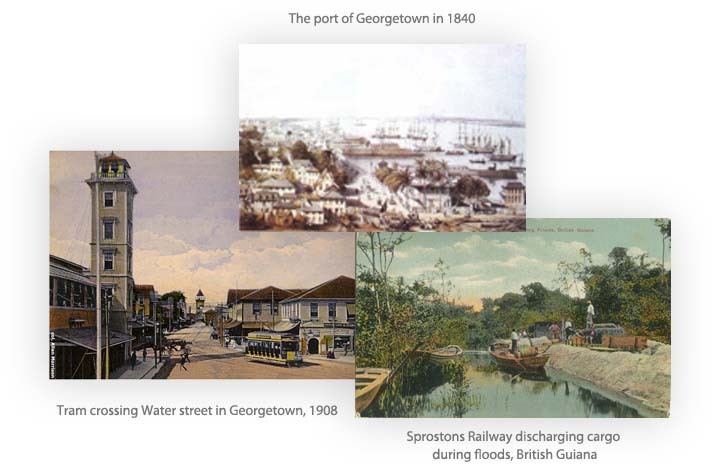 After some arguments about the exact site for the tower, a contract was signed on 8 January 1887. The tower had been a subject of some controversy, attracting criticism both from those who did not believe it is feasible and from those who objected on artistic grounds and looks. But before that, in 1881 Eiffel was contacted by Auguste Bartholdi who ha a need of an engineer to help him to realize another huge order, this time from the other side of the Atlantic, the Statue of Liberty. Eiffel was nominated because of his already involvement with wind stresses. Eiffel invented a structure consisting of a four-legged pylon to support the copper sheets that they made up the body of the statue. The entire statue was created at the Eiffel works in Paris before being pull to pieces and shipped to the United States. Eiffel is a star through his extraordinary engineering works he accomplished in his time. This tower finally became the symbol of Paris and a huge touristic attraction for the whole France! Let’s go to the top guys and gals!